Happy Wax natural bear shaped Soy Wax Melts and Warmer | P.C. Fallon Co. 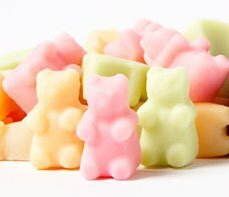 Happy Wax puts the "happy" in home fragrance with their creative all-natural hand-poured wax melts in fun shapes, like little bears and heart tarts. 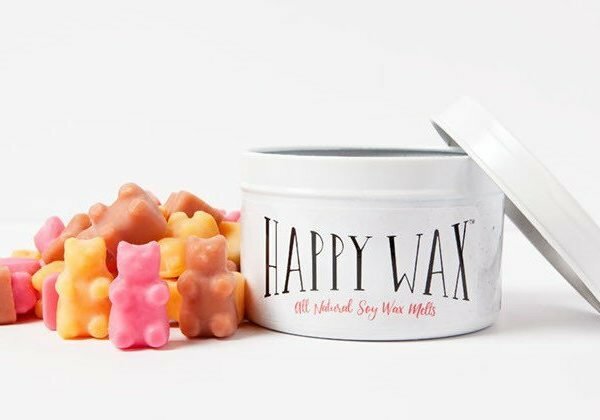 Made from 100% all-natural soy wax, which is biodegradable, sustainable, and made from American-grown soy beans, Happy Wax is feel-good fun for your home, classroom, office, or anywhere! The vegetable-based, all natural soy wax and phthalate-free fragrances deliver cleaner, longer-lasting scents. Safe and effective as well, since Happy Wax contains NO pesticides, herbicides, or genetically-modified material. Can you mix the fragrances? Yes! Sometimes the bears like to have friends over in the wax warmer, and it just makes it even more fun. Find fragrance combination suggestions in the individual item descriptions below. As seen on Good Morning America!